2. 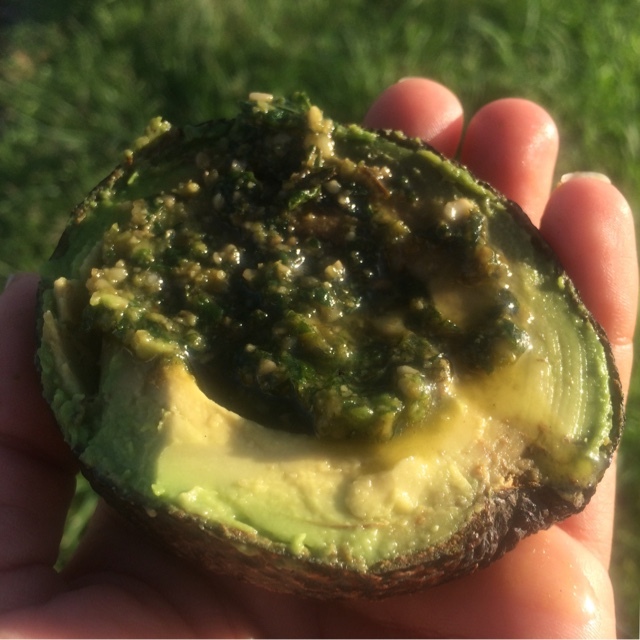 1 small organic avocado with olive oil vegan basil-garlic-parsley-cashew pesto. 3. Regular new routine of supplements. I'm saving coffee with MCT oil for l8r.